Today’s Presenter Profile Series features Dr. Assane Fall from the Mauritanian Institute of Oceanographic Research and Fisheries (IMROP), Mauritania. Read below to learn more about one of this year’s #IAMSLICUganda presenters. 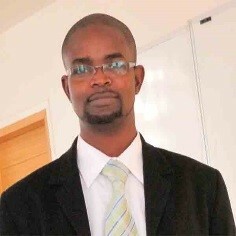 Assane FALL (PHD), is a Marine Information Manager and a Researcher in Socio-Anthropology of Fisheries. He has been working since 2002 at Mauritanian IMROP, which works at the Mauritanian Institute of Oceanographic Research and Fisheries (IMROP). He teaches courses in communication at the Higher Institute of Marine Sciences (ISSM) in Nouadhibou. I did studies in science and technology of information and communication at the School of Librarian Librarians and Documentalist (EBAD) of the University Cheikh Anta Diop of Dakar and the University of Limoges (France) since 2006. I also have a Master 2 in scientific and technical communication from the University of Grenoble (France) in 2010 and a doctorate in social sciences from the School of Advanced Studies in Social Sciences (EHESS) in Paris(2014) entitled: “The Banc d’Arguin National Park: Fisheries, Conservation and Sustainable Development in a Protected Marine and Coastal Area”. The work studies the governance of the Banc d’Arguin National Park (PNBA). Since 2006, I have been involved in the ODINAFRICA project as Marine Information Manager of Mauritania. I have never participated in the IAMSLIC meetings and I was honored to participate this year to discuss with participants the issues of oceanographic and marine information management. I also wish to share with them the reflection I have made on the contribution of the ODINAFRICA project in the development of oceanographic research by making information available to researchers in West Africa, particularly those of Mauritanian Institute of Oceanographic Research and Fisheries. Abstract: The ODINAFRICA project participated in training in the management of marine information librarians, the creation of a pan-African network of National Oceanographic Data Center (NODC), product development and targeted services for national and regional end users in African countries. Currently, over 40 marine-related institutions in 25 African countries, including Mauritania, have tried to address the challenges faced in access to data and information for coastal management. The NODC of Mauritania was established in 2001 under the Mauritanian Institute of Oceanographic Research and Fisheries (IMROP). The IMROP library has developed several products and services such as ODINAFRICA NODC and project websites, newsletters and brochures, ocean data catalogues (metadata), library catalogues, and directories of experts and institutions. IMROP’s librarians also participated in several training sessions on the management of marine information. In this paper, we first show that the project has strengthened capacity in marine library management and also in the provision of information at the library of IMROP. 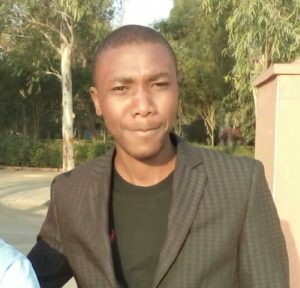 A questionnaire administered to twenty researchers at IMROP showed us how they used the different services and products available to them through the ODINAFRICA project. We also raise several questions to the end of the project, including the maintenance of the various services and databases. Today’s Presenter Profile Series features Sally Taylor from the University of British Columbia, Woodward Library. Read below to learn more about one of this year’s #IAMSLICUganda presenters. 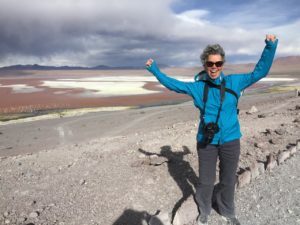 Sally Taylor is a science librarian at the University of British Columbia (Vancouver, Canada) where she supports students and faculty in biology, fisheries, forestry and resource management. Sally has been an IAMSLIC member since 2000 when she attended her first conference close to home in Victoria, Canada. 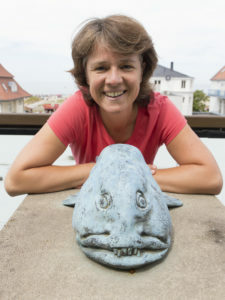 She was IAMSLIC President in 2013-2014 and is now Chair of the Aquatic Commons Board and a member of the Joint IODE-IAMSLIC Group of Experts in Marine Information Management in a Transitional Capacity (GEMIM-T). Sally is currently on sabbatical and has spent time at the libraries of the Charles Darwin Research Station (Galapagos Islands, Ecuador) and the Bamfield Marine Sciences Centre (British Columbia, Canada). Today’s Presenter Profile Series features Andreas H.L.T. Hainghumbi from the Ministry of Fisheries & Marine Resources (National Marine Information & Research Centre – NatMIRC), Namibia. Read below to learn more about Andreas, one of this year’s #IAMSLICUganda presenters. Andreas has been working at the National Marine Information & Research Centre as an Information Manager or Librarian since the year 2012. He is the administrator for Namibia National Oceanographic Data Centre (NODC website) and in-putter of Namibia Ocean-Doc Repositories. Andreas is also an author of 9 non-fiction books and he likes reading, writing, cooking, travelling and playing all sorts of sports. Abstract: This presentation will give an overview of how the National Marine Information & Research Centre collects its data’s and the functions of such data. This will include a brief description of data collecting techniques used or applied by NatMIRC scientists and the processes involved in transforming such data into information and the functions/role of such information thereafter. We are just about a month away from the the 44th Annual IAMSLIC Conference & 6th AFRIAMSLIC Regional Meeting in Entebbe, Uganda. Follow our Presenter Profile Series to to learn more about this year’s speakers for #IAMSLICUganda. 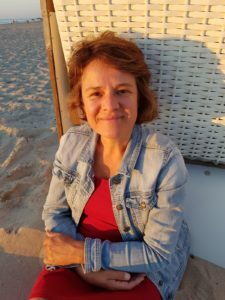 We start the series with Olivia Diehr from the Leibniz-Institute for Baltic Sea Research Library. held the position of librarian at the Leibniz Institute for Baltic Sea Research in Rostock-Warnemuende. In 2015 she attended her first IAMSLIC conference held in Rome, Italy. Olivia is very grateful to collaborate with marine scientists as well as with information specials from all over the world. Situated just off the Baltic Sea coast, Olivia’s library is certainly one of the most beautiful places to work. I would like to share ideas, stories and inspirations on the future of libraries. I am especially interested in talking with anyone about teaching writing as a process. On a personal level, I love outdoor activities like swimming in the Baltic, hiking &amp; biking and SUP. Furthermore I absolutely love to cook and bake for family and friends. Or we may have a chat about the last FIFA World Cup in Russia? Abstract: The Projekt DEAL is a consortium of German libraries, universities, and research institutions with started negotiations with the publisher Elsevier in 2016. DEAL wants to set up nationwide “publish and read” agreements with publishers. By paying a lump sum to cover publication costs, all papers authored by German-based researchers would be published open access. This new payment model would certainly have a global impact. Besides Elsevier, there are ongoing negotiations with the publishers SpringerNature and Wiley. We will introduce the recent developments and discuss whether DEAL could be a model for other IAMSLIC libraries. The deadline to apply for Eleanor Uhlinger’s old job at the Naval Postgraduate School has been extended to October 15th. Located in Monterey CA, NPS is a fully accredited graduate-level (Masters and PhDs) university with strengths in oceanography, meteorology, atmospheric sciences, in addition to many other STEM programs. Copyright © 2018 IAMSLIC News & Events. Powered by WordPress and A Dream to Host theme by Art of Blog.